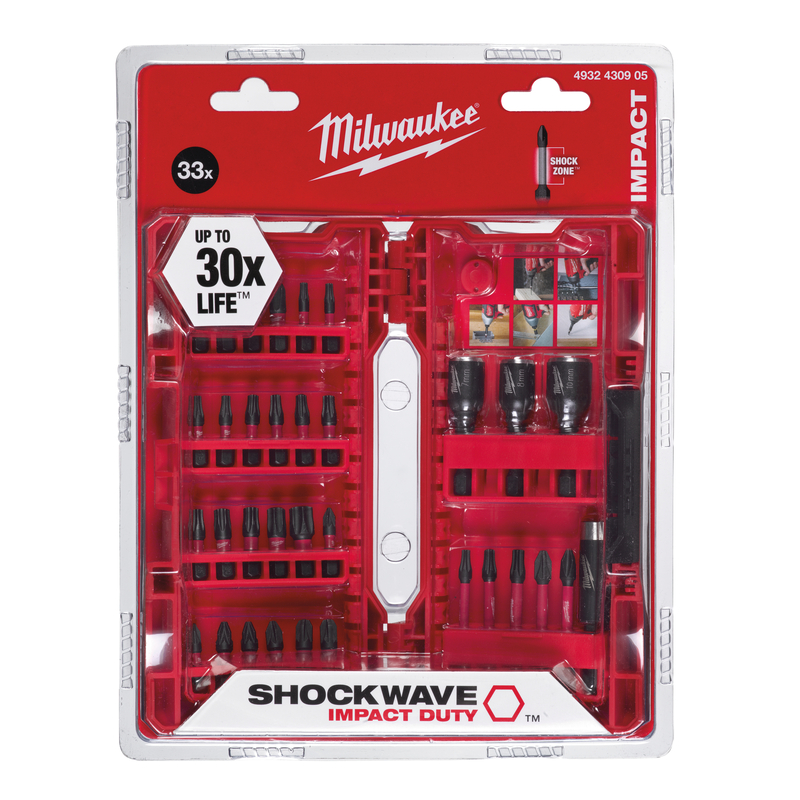 Shockwave Impact Duty screwdriving bits: 24 x 25 mm length 1 x PH1 / 2 x PH2 / 1 x PH3, 2 x PZ1 / 3 x PZ2 / 2 x PZ3, 2 x TX10 / 2 x TX15 / 3 x TX20 / 2 x TX25 / 2 x TX30 / 1 x TX40 / 1 x TX50. 5 x 50 mm length 1 x PH2 / 1 x PZ2, 1 x TX15 / 1 x TX20 / 1 x TX25. 3 x Shockwave Impact Duty magnetic nut drivers: 48 mm length 1 x Hex 7 mm / 1 x Hex 8 mm / 1 x Hex 10 mm. 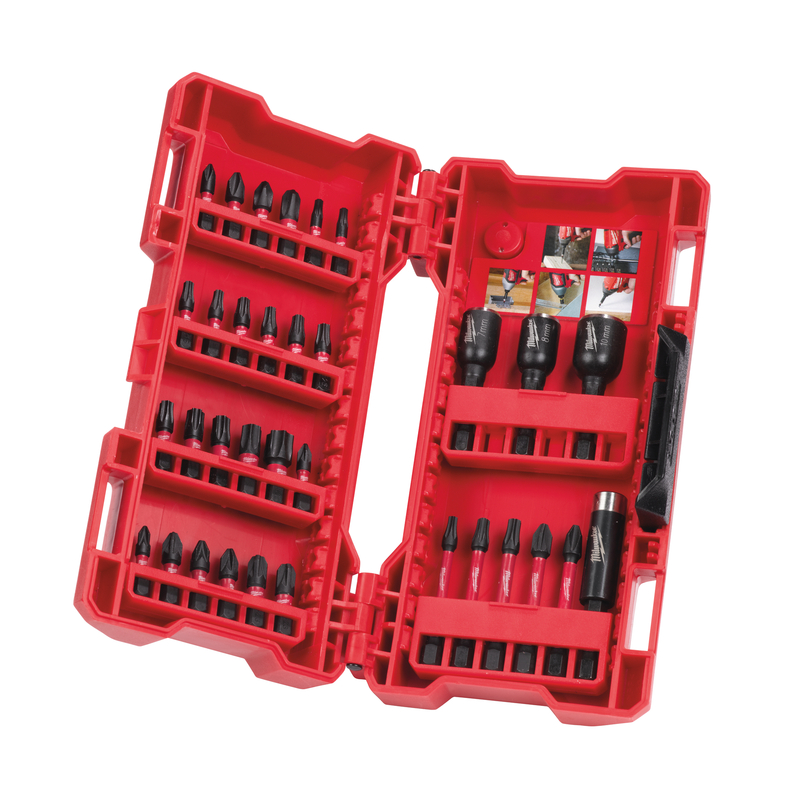 1 x magnetic bit holder 60 mm length.